For the Singapore corporate bond market, 2017 was a peak default year. In the past few years, the interest rate situation in Singapore has continued to be mighty volatile. That is why it becomes quite difficult to predict or anticipate anything about Singapore corporate bonds for 2018. In 2017, the country saw 9 bond defaults as compared to 5 a year before which again is much more as compared to 1 bond default in 2015. Even then the credit quality of these corporate bonds is still good. The credit spreads are as lower as they can go with under 5% yield. On the demand and supply front, there is nothing much to worry about. The corporate bonds of Singapore have varying risk levels which mostly depend on the corporate entities issuing them. Analysis of the company’s financial status decides the risk level of these corporate bonds. Analyzing how well the company is fulfilling its bond obligations can also help an investor to make a right decision. Some funding managers also recommend checking out the credit rating of the bond to determine the level of risk associated with it. When two corporate bonds in Singapore declare the same interest rate, an investor will choose the one from the corporate company having stronger fundamentals. That is why entities that have a low credit rating or deemed highly risky more often woo the investors with higher interest rates. It does not in any way mean that the safest bonds do not pose any risk. The value/quality of a company may deteriorate over the time because in a business environment everything is ever-changing. If a highly profitable company suddenly loses in business, it affects the quality of corporate bonds. SGX list companies issuing Singapore corporate bonds which trade in a daily market. These bonds comprise of a pool of loan assets that regularly pay interest. On the basis of these collected interest payments, the company issues coupon of a bond. Experts believe that the largest risk the corporate bonds of Singapore in 2018 face is possible liquidity crisis or illiquidity in the coming days. Small companies in Singapore will have no other option but to pay more for covering up the borrowings much ahead of the unprecedented maturities. It is because the major wealthy investors who are also the key buyers will withdraw or slow down their activities. According to Danny Tan, the Eastspring Investments portfolio manager managing the Singapore Select Bond Fund, factors such as recent defaults and rising costs of borrowing is hurting the demands for bonds. Similarly smaller borrowers are also facing issues in the local debt market since the start of this year. Some of the companies affected by the pressure include CW Group Holdings Ltd and Hyflux Ltd. CW Group Holdings is a precision machine tool maker. 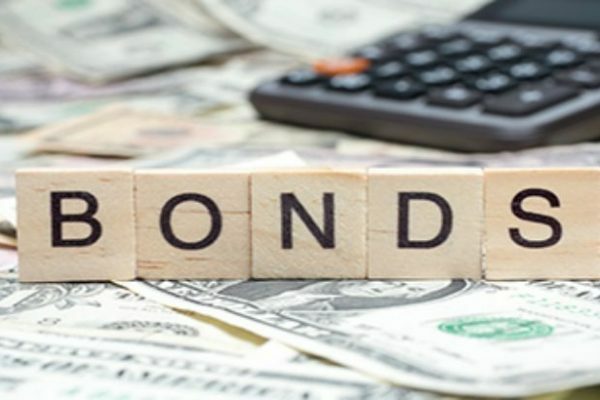 Its bond defaulted in June 2018. Hyflux is a water treatment and Power Company reporting defaulted perpetual securities. The company initiated the court-supervised process of debt reorganization in May 2018. Ever since 2009 the sale of Singapore dollar bonds has declined and reached their lowest this year. According to ICE BofAML index, Singapore dollar bonds average yield increased in 2018 to 3.51 percent and reached 48 basis points. The data compiled by Bloomberg on Singapore dollar bond sales reveal that excluding banks, all the borrowers in the country will face record bond maturities in 2020. A total of $23 billion is due from this year up to 2020. The data reveals slump of 37 percent in the Singapore dollar bond sales as compared to the last year and is the lowest in almost a decade. However, Tan believes that the corporate bond market of Singapore in 2018 will not see much rise in defaults. Tan thinks that bigger companies will come up with options to refinance the loans. Despite volatility in the economy of Singapore, fund managers still are favoring blue chip Singaporean corporate bonds over the government securities. These bonds floated by the highly rated real-investment trusts as well as large companies have listing on the Singapore stock exchange. After the Central Bank of Singapore tightened its policy and increased rates, the funds have increased the duration. Now the bonds are offering tenure of five-to-seven-year maturity. It makes the dollar-denominated corporate bonds of Singapore much more attractive as compared to the country’s government securities. Real estate investment trusts continue to be the driving force behind the issuance of Singapore corporate dollar bonds. At present, investors have limited choice for Singapore dollar-denominated corporate bonds. Even then investors prefer lower yielding assets instead of taking risks with portfolios. It is because they believe that existing corporate bonds of Singapore 2018 are much better for investment. In Singapore, the prices of corporate bonds remain unchanged or elevated despite upheavals in the market. It can only change if someone tries to sell a large portion of his assets. Even then the investors do not buy SIA bonds as the prices failed to change much in the last three months. Some investors rather prefer investing in USD issues and swapping SGD proceeds for getting better returns. It is comforting for the fund managers and retail investors to know that the prices of Singapore corporate bonds are not going to change much. However, when it comes to selling them off during crisis necessitating liquidity the low market appetite can be discouraging. That is the liquidity crisis Tan is talking about that investors can face with Singapore corporate bonds in 2018. With small investors finding it difficult even to sale S$5 worth HDB bonds without even taking massive discounts, getting a good price can be extremely difficult. The Asian bond markets are witnessing a rise in the number of issuers which suggests that the time can be just right for the local Singapore market to attract issuers. However, there is a glitch as the foreign houses do not seem interested in local currency game anymore that allocates less market liquidity. So it would be difficult to attract these issuers to Singaporean market. So, investors should take the decision whether to invest in corporate bonds of Singapore in 2018 or not depending on the situation. For those who are looking for long-time investments not wanting a quick release, corporate bonds are the best. However, those planning early release, liquidity can be a big problem and hence Singapore corporate bonds can never be the right choice.